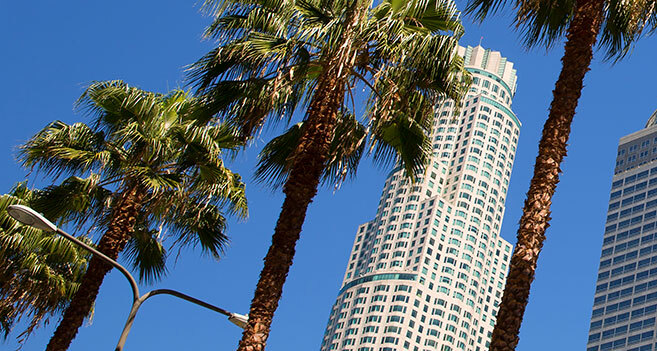 They say “the West Coast is the Best Coast” and we have to agree—after all, it is our home. 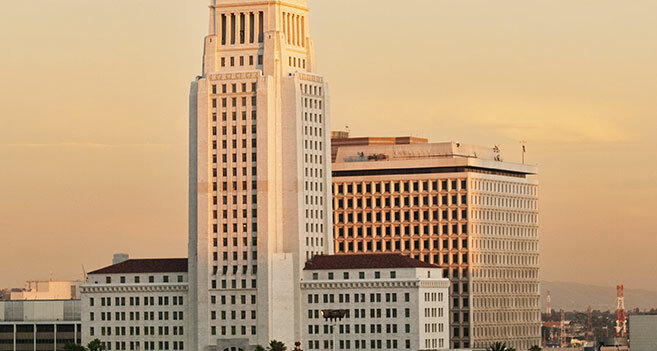 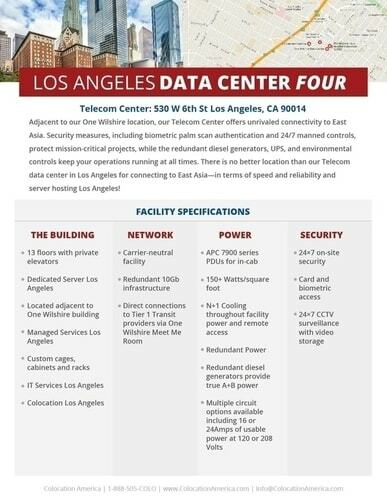 As the headquarters for some of the biggest companies in the world, Los Angeles demands superior quality and performance, and Colocation America’s data centers can provide you with the IT infrastructure to tap into the thriving market that is the City of Angels. 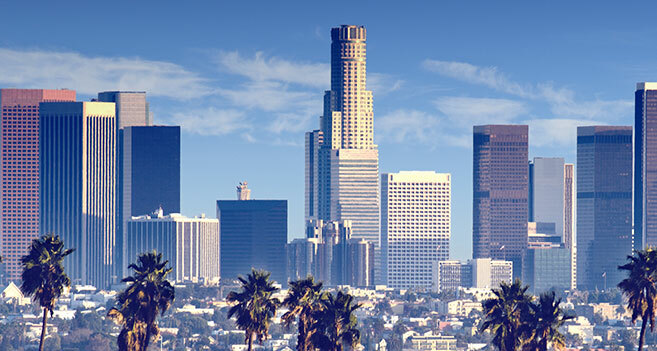 Our state-of-the-art facilities coupled with our uptime guarantee and connectivity that puts “The Fast and Furious” to shame, we can provide you with all the it services in Los Angeles you need to become a “star” in the city that makes them. 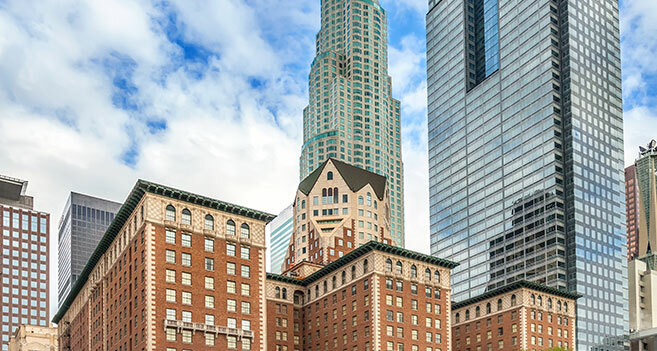 Located in the downtown area, One Wilshire is one of the industry’s premier points of interconnection. 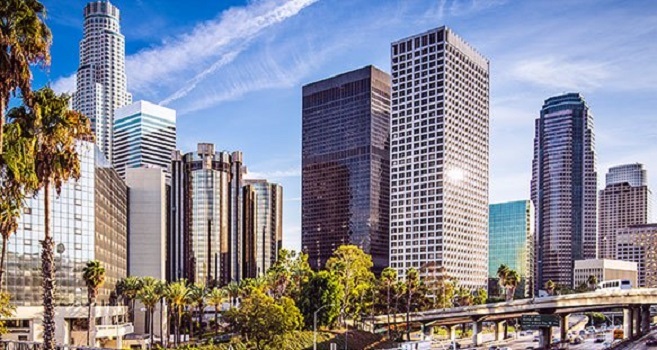 Today, it is not only highly regarded as one of the most significant points of connectivity in the Western United States, but throughout the world. 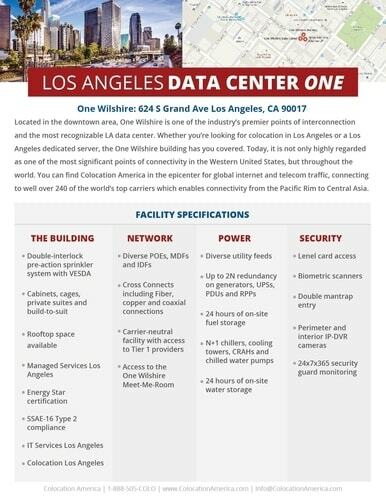 You can find Colocation America in the epicenter for global internet and telecom traffic, connecting to well over 240 of the world’s top carriers which enables connectivity from the Pacific Rim to Central Asia.. 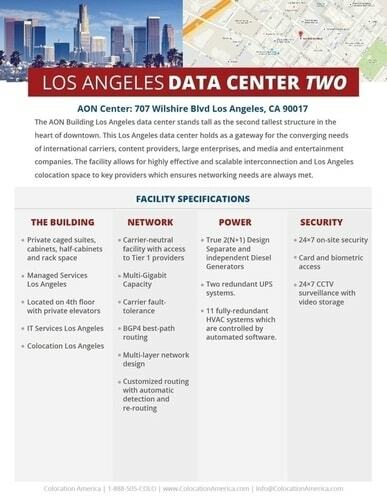 The AON Building Los Angeles data center stands tall as the second tallest structure in the heart of downtown. 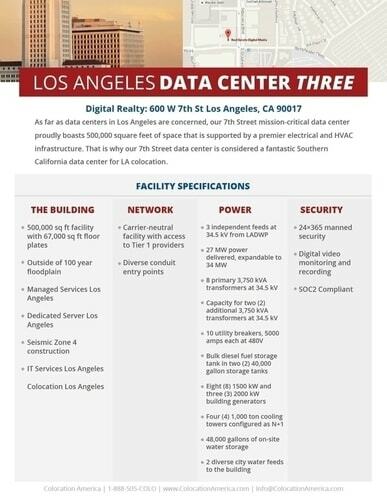 This Los Angeles data center holds as a gateway for the converging needs of international carriers, content providers, large enterprises, and media and entertainment companies. 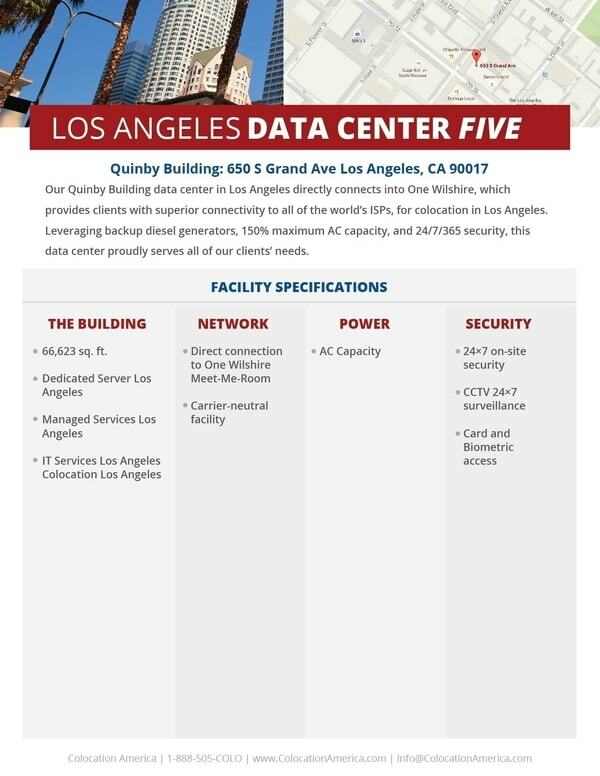 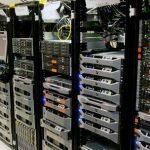 The facility allows for highly effective and scalable interconnection and Los Angeles dedicated server space to key providers which ensures networking needs are always met.